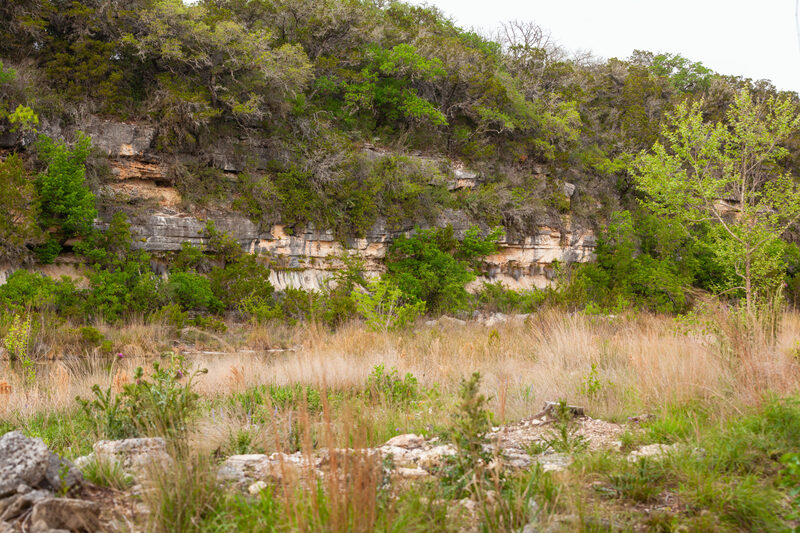 This 42 acre retreat is in one of the most beautiful areas in the Hill Country along the banks of the Guadalupe River. 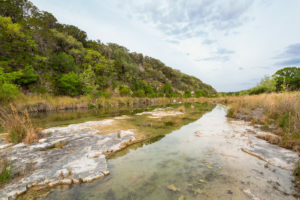 It is near a number of well-known camps (Waldemar, Mystic Heart of the Hills Rio Vista and Stewart), Laity Lodge, and directly across from the Kerr Wildlife Management area. This property is truly one of a kind. 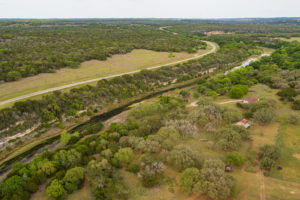 The property is located just outside of the town of Hunt in Kerr County, TX on the Guadalupe River. 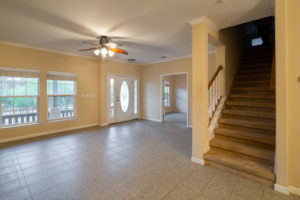 The physical address of the property is 154 Mr. Bar Parr. 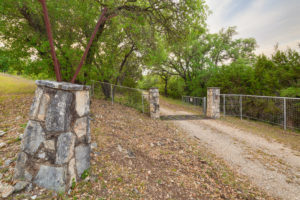 See location map. 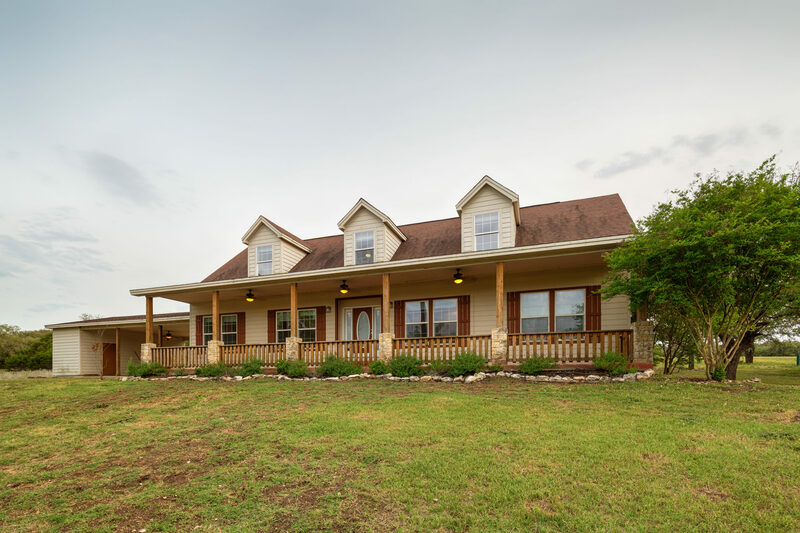 The ranch is 30 minutes from Kerrville, 1.5 hours from San Antonio, and a little over 2 hours from Austin. 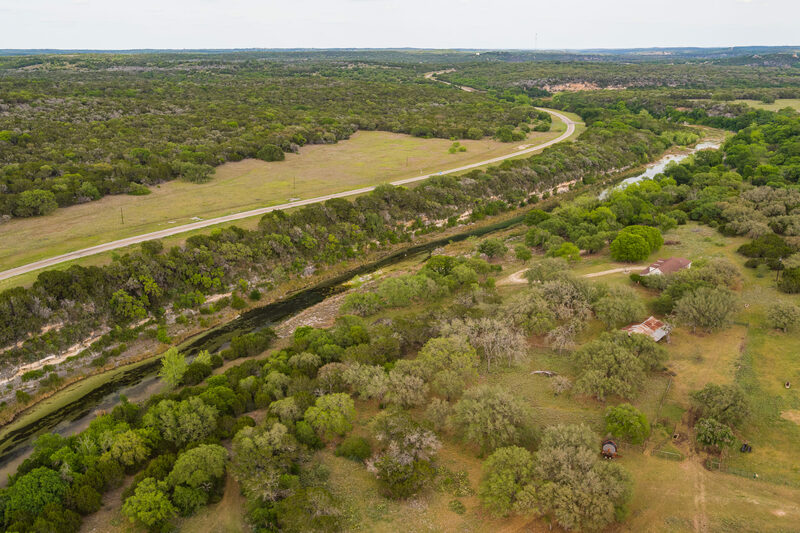 The ranch has a great combination of pasture land and is heavily treed with long views of the Guadalupe River and surrounding country. 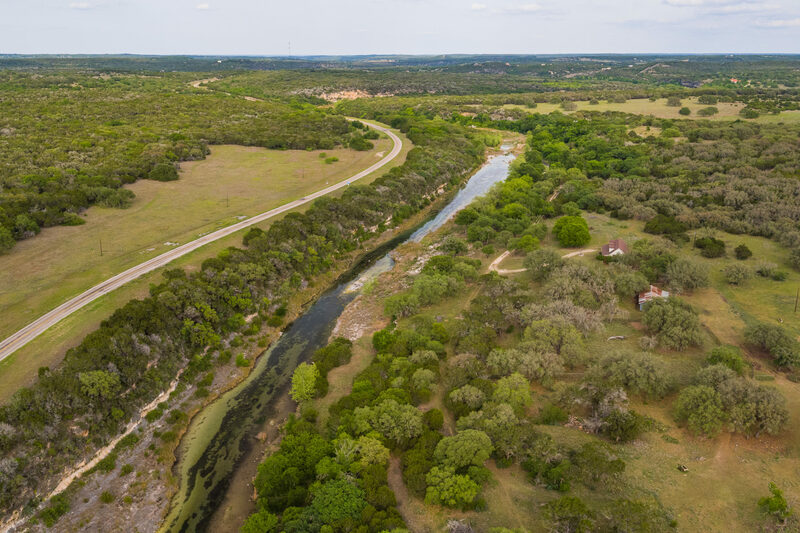 The water on this property is exceptional with 1,200 feet of frontage along both the Guadalupe River and Flat Rock Creek. There are some water rights and a water well. 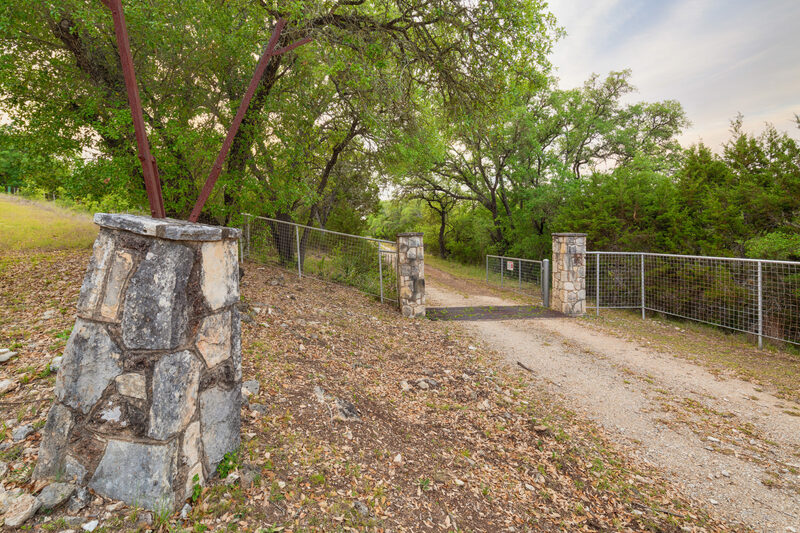 Concrete and stone water troughs exists in the various pastures and turn outs. 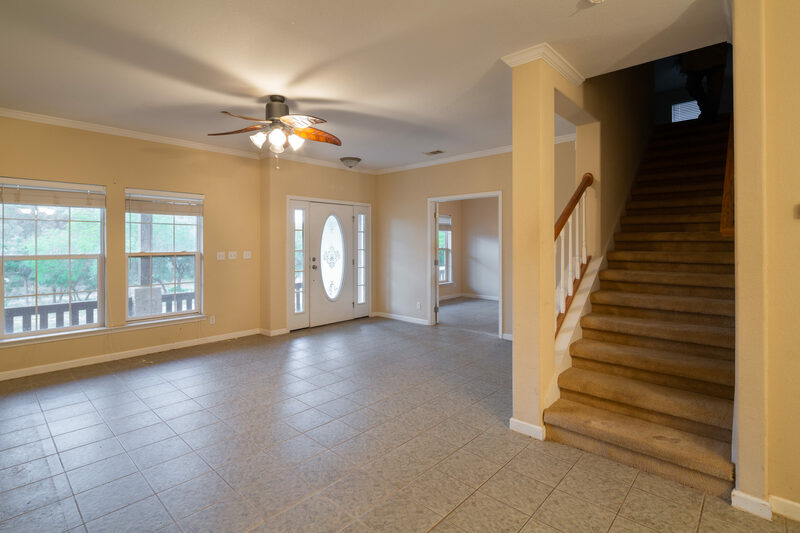 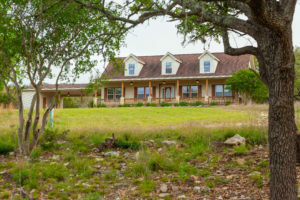 Driving through the main gate, you follow a tree lined road along the river to a nice two-story dwelling with 3 bedrooms, 3.5 bath, and long porch overlooking the river and creek. The house has an attached carport and storage building and an old barn is near the house. The property has an abundance of traditional Texas wildlife – white tail deer, turkey, pigs, and dove with fishing in the rivers and dam created lakes. 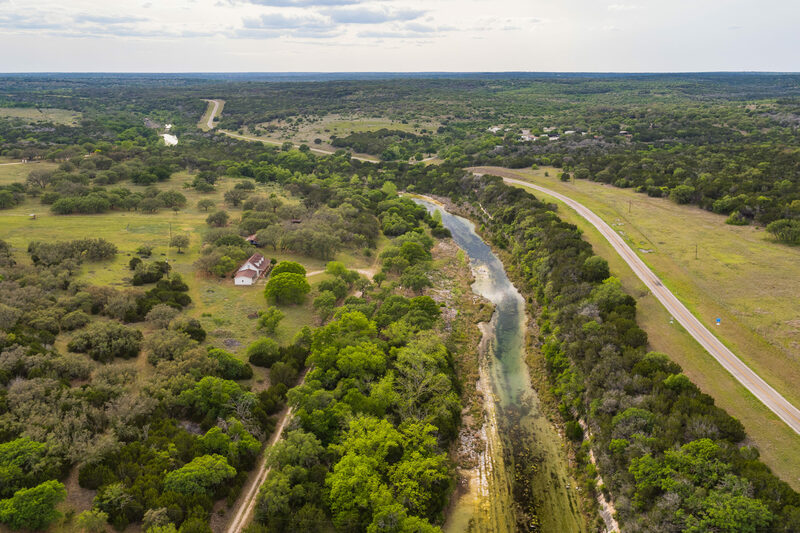 Outstanding opportunities are available for walking, riding horses, and 4 wheeling on the trails through the property, as well as spending time in shallow or deep pools of the river and creek. Contact Listing Broker for additional information concerning the minerals. 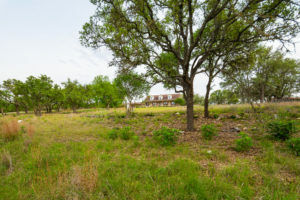 An adjacent property with 127 acres on the river and creek with a beautiful. 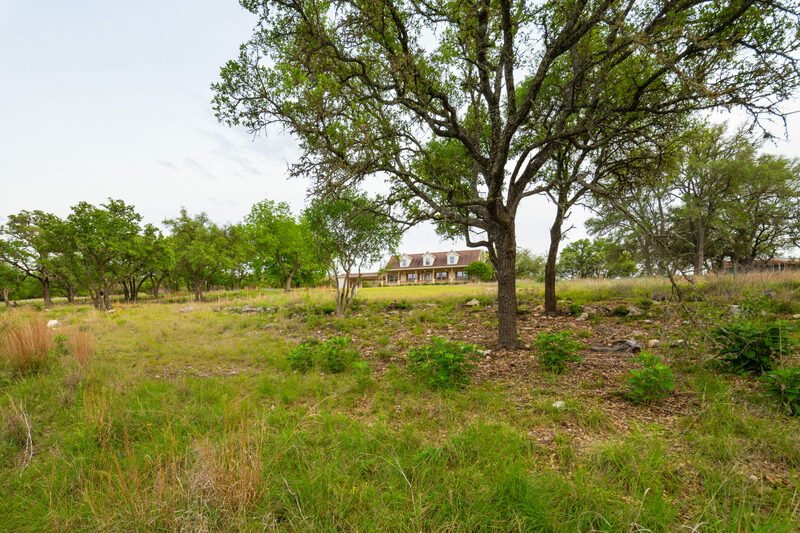 Historic large main house and 4 additional homes with extensive equestrian facilities including a 32 stall rock barn is also available.